Cleanup of Home Plate interior. 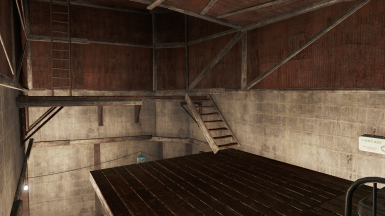 Improvements to the walls, floor, ceiling, and structural supports plus removal of interior fog and minor touch-up on the navmesh. Doesn't remove any of the scrappable items. Fixed flickering on two floor pieces near the workbench. 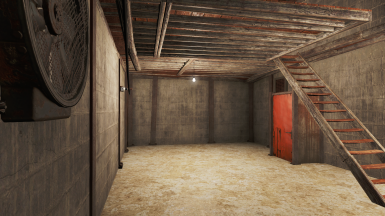 Fixed the inability to build on portions of the flooring in workshop mode. I like the charm of the crooked layout in Home Plate but I've always hated the mismatched architecture style. So I've updated it with a more unified and marginally cleaner but still postwar style. 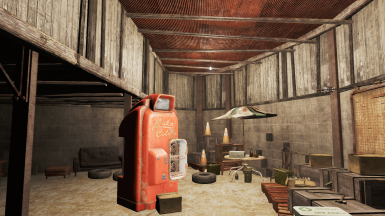 All of the scrappable junk still remains untouched. The entire downstairs floor is now concrete without the dirt decals. The upstairs flooring uses the nicest piece of wood shack flooring available and it all matches with slight extensions for a little more room. 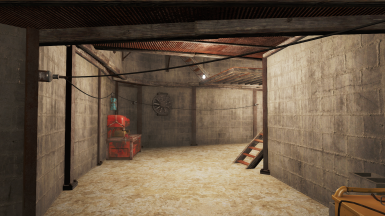 I covered the rusty downstairs walls in the end near the workbench with concrete walls that match the rest of the downstairs. The upstairs walls are still rusty. I removed all the loose pieces of rusty metal panels. 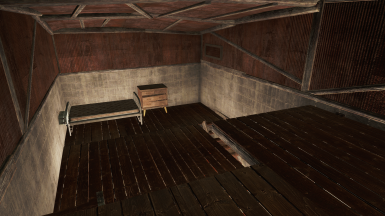 I covered the upper wall plywood in the largest room with a different style of wood. I removed a couple of unnecessary support beams, added a couple where it made sense. Removed the interior fog and the one mister (fog) near the upstairs roof door. Slight modification to the upstairs navmesh to better fit the new flooring. 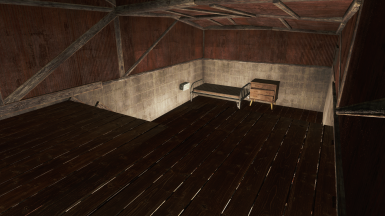 Screenshots of the upstairs floor taken with the texture replacer "Shack Floors Re-done 4k﻿" mod. Will likely conflict with all other mods that edit the interior of Home Plate. Will definitely not work with GreaseMonkyMod's "Home Plate Expanded". 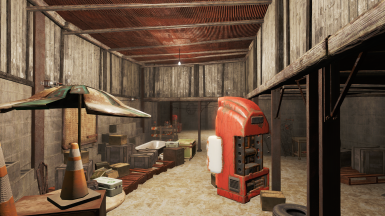 Will work with version 0.2.3 or later of Whisper's Power Armor Basement, load Home Plate Interior Revamped after the basement mod. 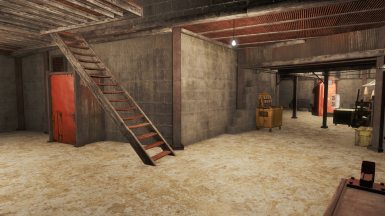 If you don't care for my style, I was heavily inspired by Rdunlap's "Rebuilt Home Plate" mod. I just wanted a few style changes so I made my own. There are other mods which also do something similar but for one reason or another didn't quite meet what I personally wanted.